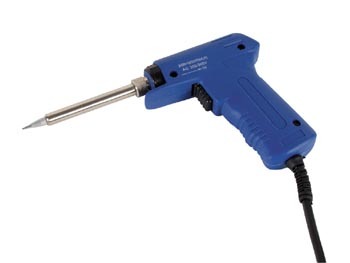 This soldering gun for fast heat application consists of stainless steel and is equipped with a dual-power ceramic heating element. The VTSG130N is a rugged-looking soldering device of exemplary quality. It saves energy and can replace every iron with a supply current from 30W to 130W. Ideal for standard soldering work.